Comraich (Gaelic for sanctuary and protection) is a comfortable and charmingly decorated house. Perched on the hillside overlooking the crofting village of Kilchoan it enjoys beautiful views over the sea to the Isle of Mull. It is set in a lovely, landscaped garden, with a paved patio and seating at the front, perfect for relaxing and admiring the view. Venture out the back of the house onto heather-covered ground or stroll down into the village where you'll find a cosy village pub, shop and regular ferry sailings to the town of Tobermory. The main bathroom has a whirlpool bath and electric shower. There is also a ensuite shower room off the upstairs double bedroom. A comfortable and charmingly decorated house set in a large, enclosed, landscaped garden with decking and seating for enjoying the views of Kilchoan Bay and the Sound of Mull. 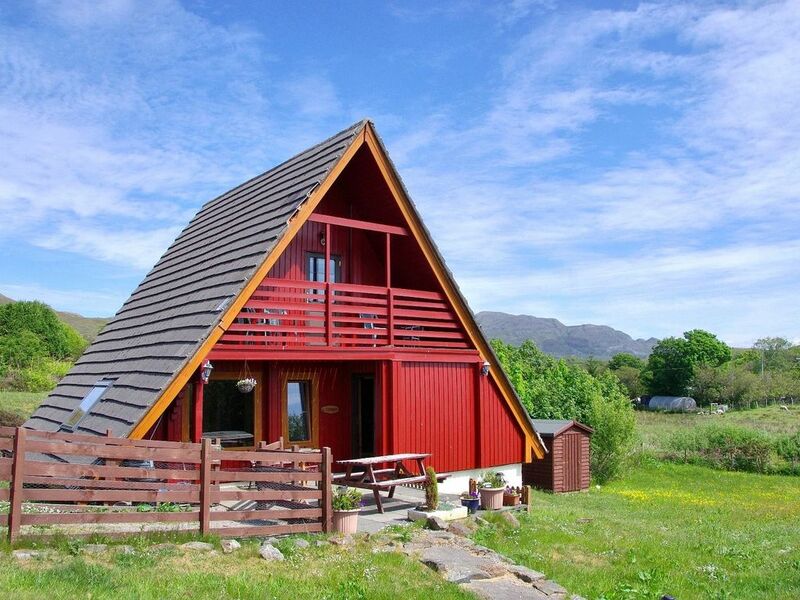 Set in the crofting village of Kilchoan it is in a great location for exploring the delights of the area a short walk from the local amenities and regular ferry sailings to Tobermory, on the Isle of Mull. Ever year we return to Steading Homes at this time of year and as usual we are very well looked after. Absolutely love it here. Perfect family holiday lodge if you like peace and quiet. The accommodation is fantastic and we will be returning for a 4th, 5th......visit. Another fab week stay in Comraich, very comfortable and clean. It has everything we needed which makes it feel very homely n a delight to stay in. The area is has gorgeous scenery, friendly locals and lots of wildlife around - seals, deer, stag and ypu maybe lucky to see an adder snake as we did. Love this place and will be back again soon. A great place to relax and chill out .very comfortable with all you need . Pet friendly with plenty of safe space for both pets and children to run free . Probably the best lodge in the area, love it! Second time I've stayed in this lodge and have already booked for next year. Perfect family holiday home. Dog friendly, well equipped throughout, great garden space and views. Would definitely stay again.